This is a recipe I distinctly remember being on my moms recipe rotation. It is a comfort food for sure. This oven-baking method and flourless gravy makes it super easy and amazingly healthy. I have pleasant memories of this dish but for those of you having nightmarish flashbacks of school lunch or TV dinner Salisbury Steak, give this recipe a chance. It will be worth it. Combine all of the “steak” ingredients in a large bowl. 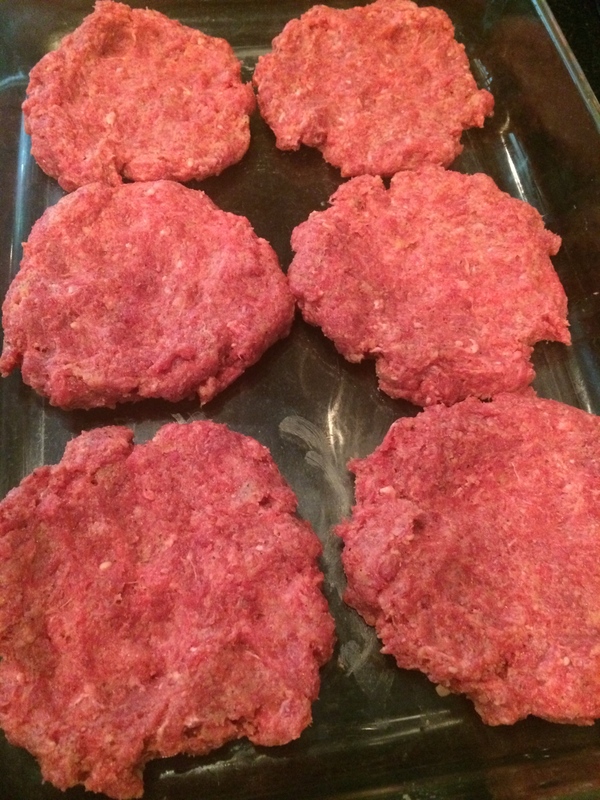 Separate into 9 equal patties, pressed a little thinner than a hamburger and place in two large glass baking dishes. Bake for about 25 minutes or until cooked through. Meanwhile, combine the broth, pepper, and mushrooms if desired in a saucepan and heat to a simmer. Add coconut milk and then take a ladleful of broth and mix it with the arrowroot powder in a separate, smaller bowl (if you try to put the arrowroot powder directly into the pan, it will form clumps). Do you just put the gravy on top after the patties are done baking? If using organic sour cream do you still add arrowroot powder? Hoping to make this tonight! Yes, you combine the gravy ingredients and heat in a saucepan then pour over the steaks. The arrowroot powder just helps to thicken the sauce but you can leave it out if you’d like. Enjoy! !